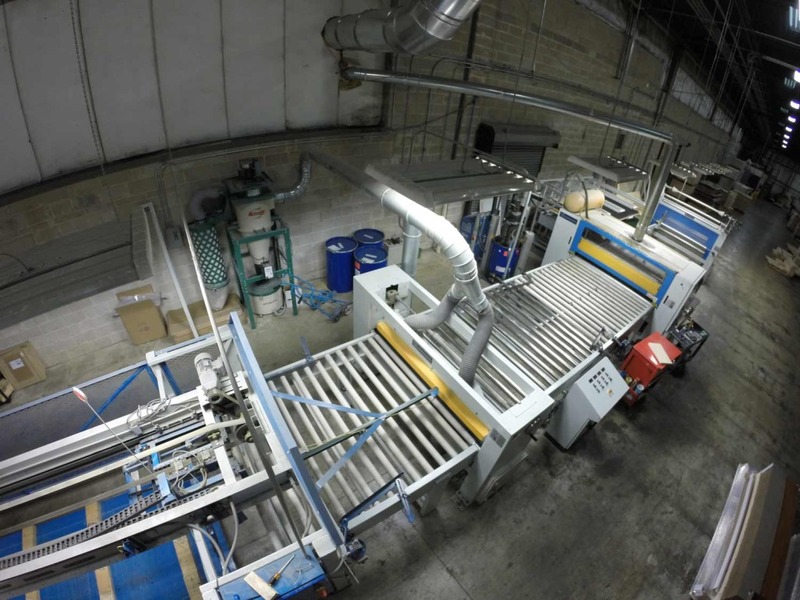 Our UV Coating line is one of the largest in North America. We can handle 5’x5′, 4’x8′, 4’x10′ 5’x1′ and 5’x12′ in any thickness from 1/8” up to 2”. 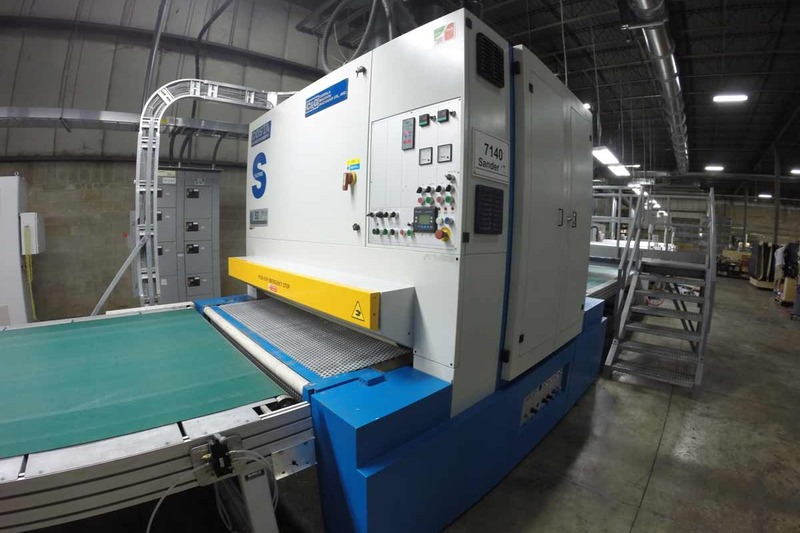 Our automated stacking can handle any configuration you require from face to face, back to back, all face up, all face down, or any combination in between. 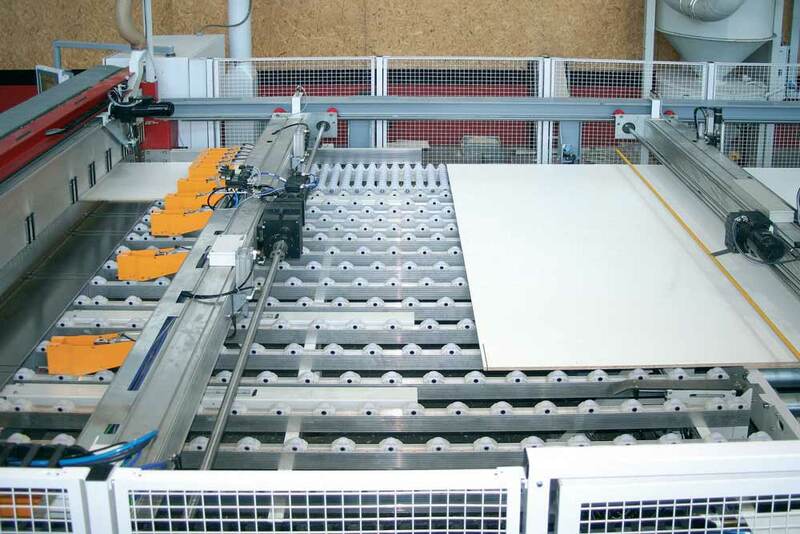 Our process is as many as eleven steps depending on the type of panel being finished. Specialty finishes such as anti-microbial, high wear, dry-erase and other opaque finishes are also options. We can even custom color match to your other wood products. Priming and fill and sand are available if you prefer to apply your own topcoat. 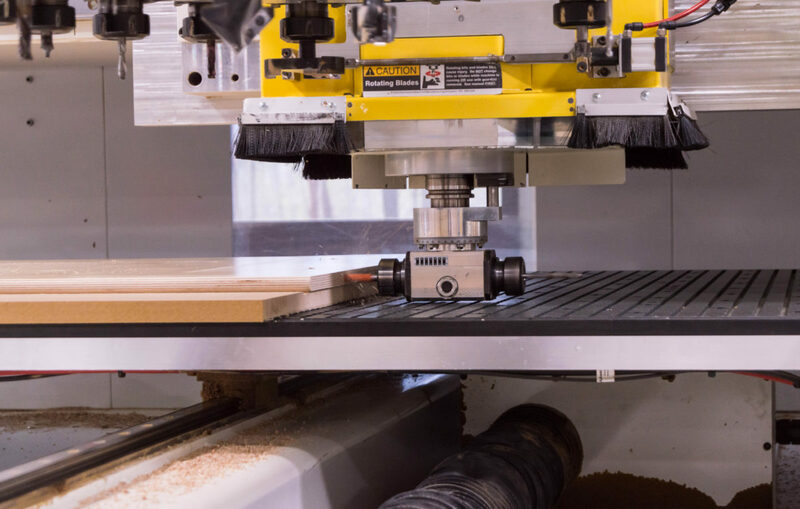 North American Plywood has state-of-the-art CNC Routers. 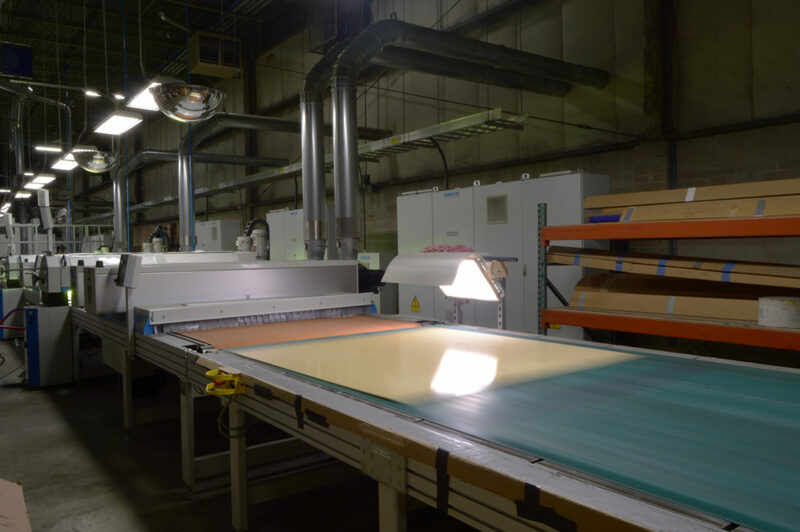 We are able to route panel sizes up-to 144″x144″. Our repeatability tolerances are +/- 0.0008″. 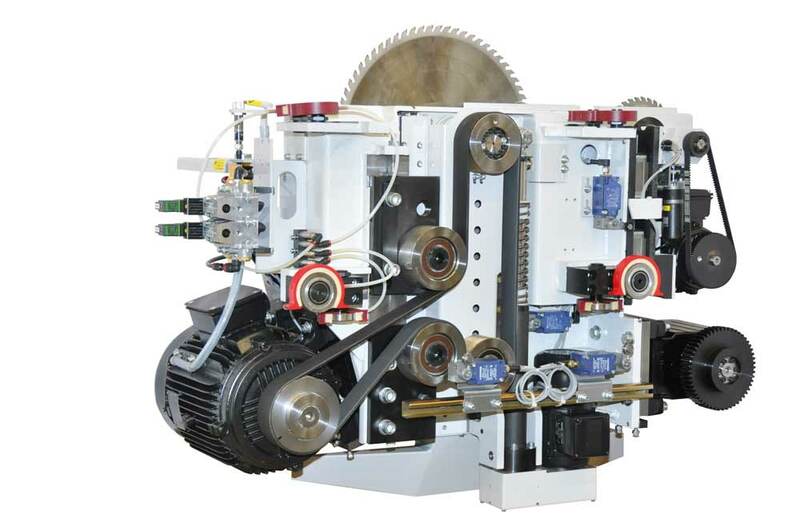 We have capabilities of vertical and horizontal drilling, index sawing, and multi head operation. 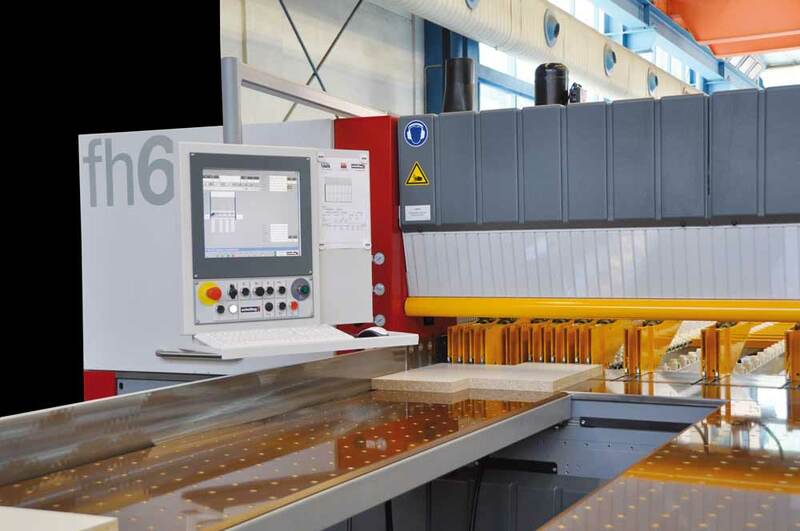 One part or ten thousand parts, NAPC is your one stop source for machined panels. 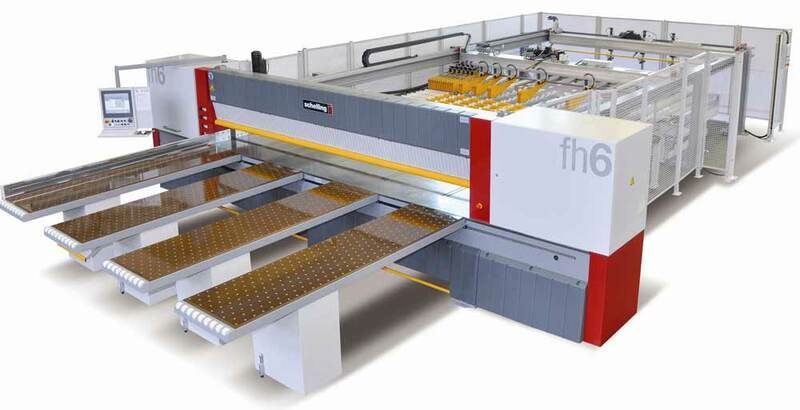 NAPC employs 2 computerized beam saws with auto loading and scoring for accurate chip free cutting. 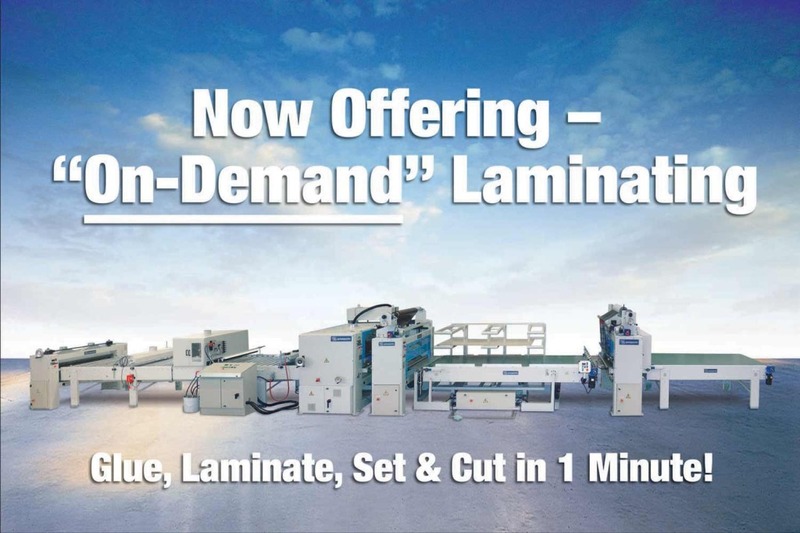 These machines are built for mass production and can cut as many as 6 sheets of ¾” plywood at a time. Let us quote you on your list of parts today, we will sweep up all the sawdust. 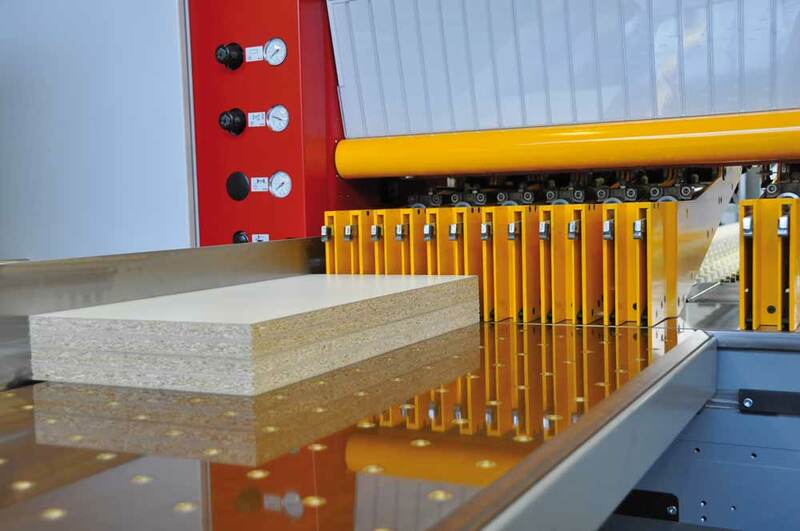 NAPC utilizes a polyurethane reactive glue (PUR) line for lamination. 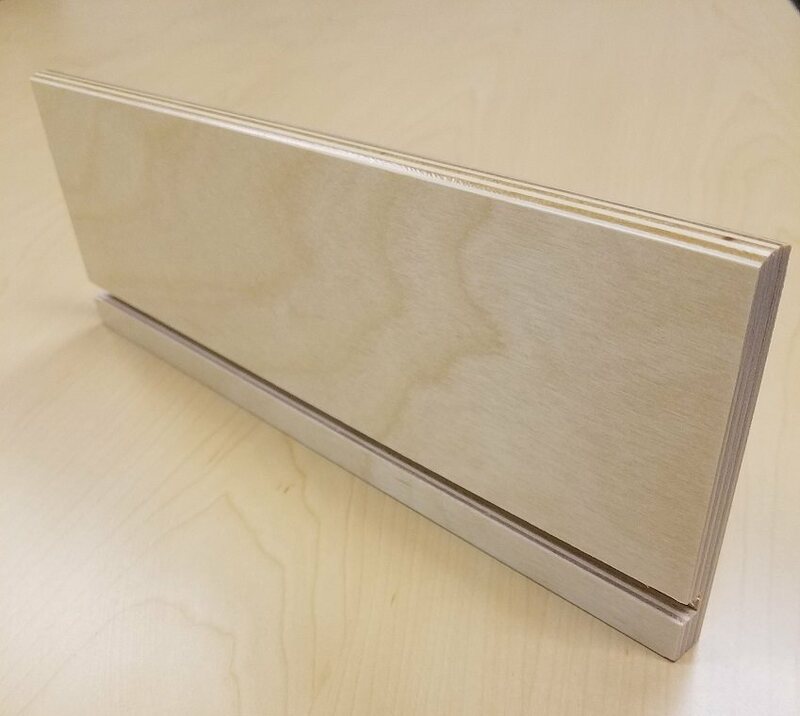 PUR adhesive allows us to laminate an endless variety of substrates and surfaces, including fiberglass, foam, plywood, veneer, aluminum and HPL . PUR adhesive is made from 100% solids so it will not add moisture to the substrate. This insures that the substrate will not warp or bend as it reaches equilibrium. 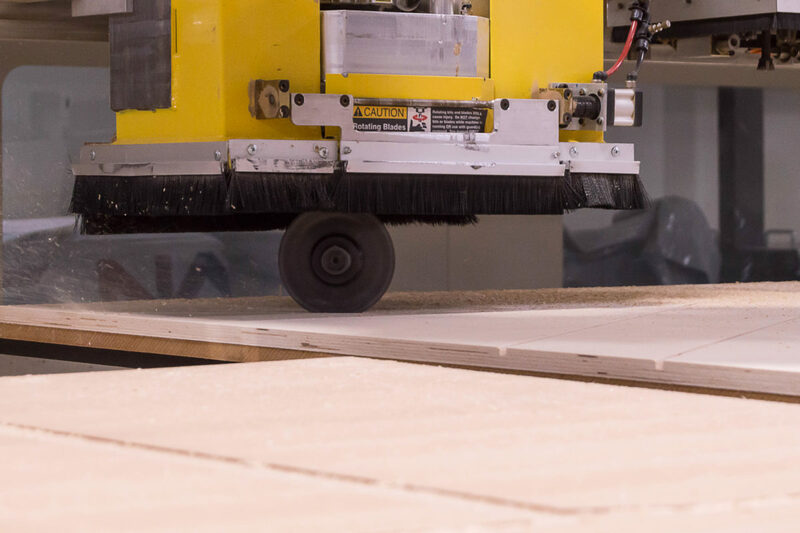 North American Plywood uses only the highest quality finishes and raw material for our draw sides. We are able to customize your sides and shapes at no extra charge. Please let us know your requirements and we will be happy to set up a program for you. 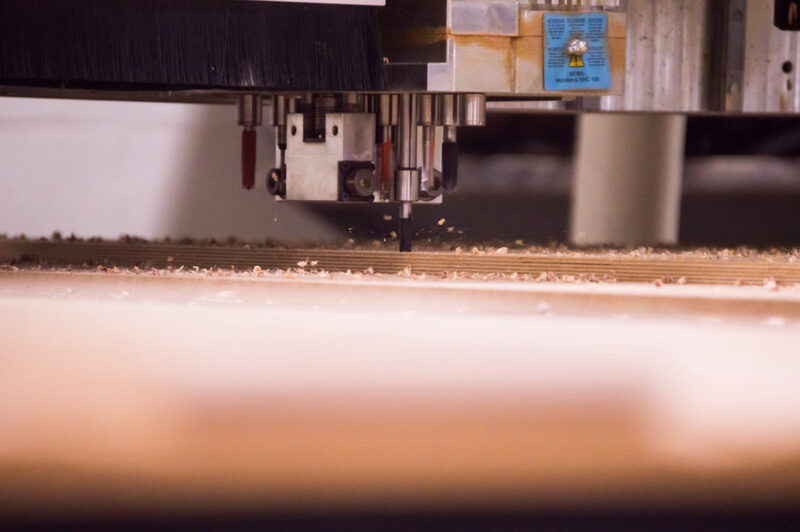 North American Plywood has state-of-the-art edgebanding capabilities. 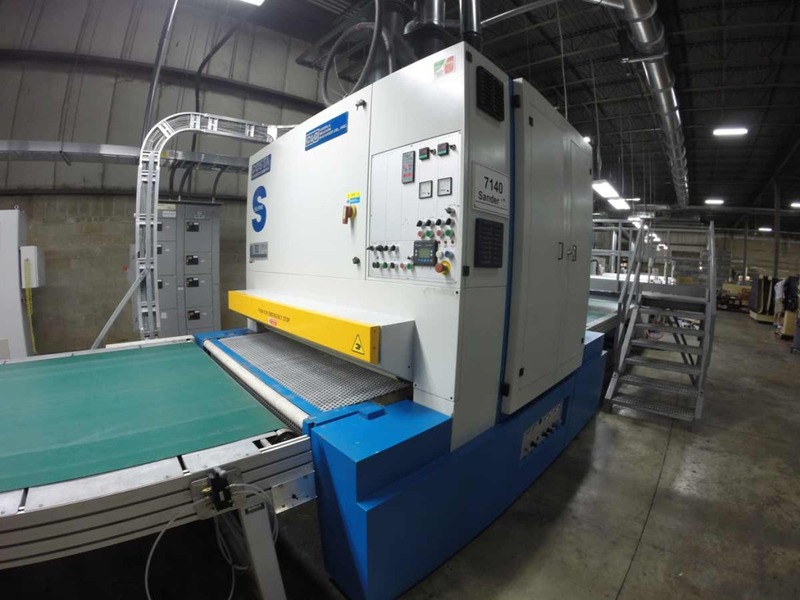 We are able to edge band all parts ranging in size from small to 96″ round panels. 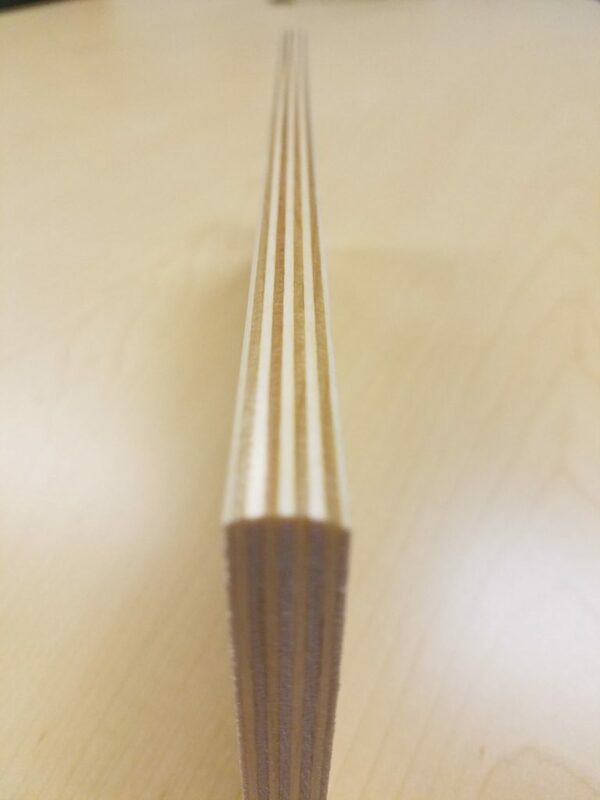 Edge banding can be custom matched to your color and thicknesses up-to 3mm thick. Copyright 2018 North American Plywood Corporation - All rights reserved. 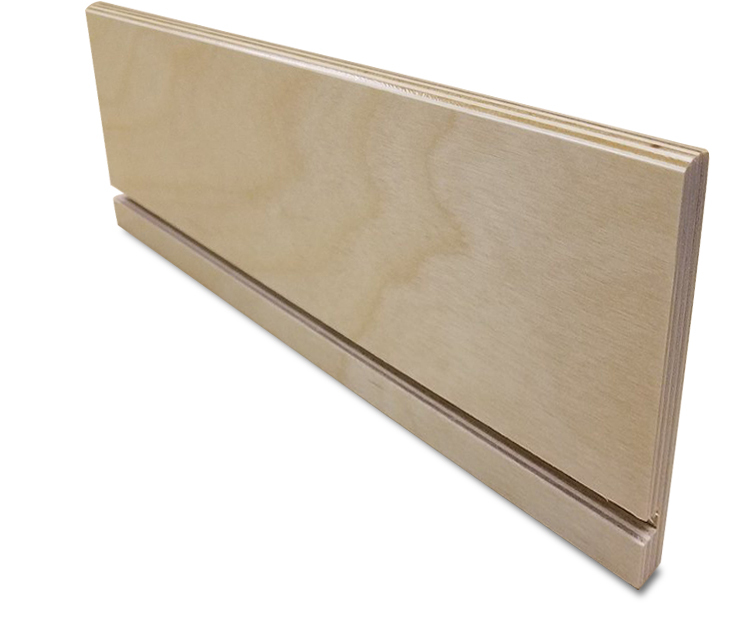 are active registered trademarks of North American Plywood Corporation ®.